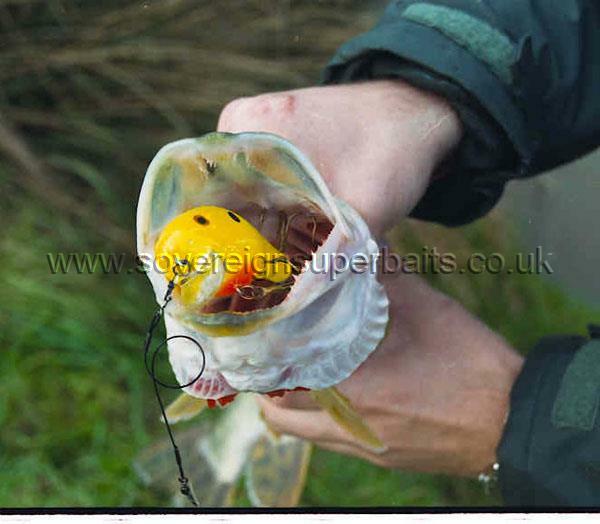 Close-up of a Jack Pike that took a 1-Minus on the Tillingham. 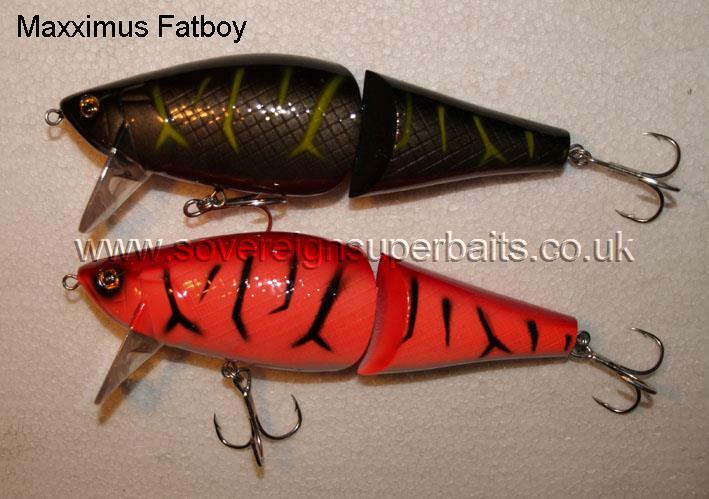 Maxximus Fatboy: This is one of very few good baits to come from tackle giant Fladen. It casts well, moves well in the water, has decent hooks & split rings as standard, but above all catches fish ! We have it in just two colours (orange tiger & black tiger) as it has been discontinued after a very short time in production (maybe they don't like making lures that actually work!). We have had great success with this easy to use, easy to fish lure & what's more we can offer it to you for half price because it has been discontinued, but don't hang about we only have a few dozen. It is a Floater, it weighs 50g it is 140mm/.5" long, comes standard with Owner ST-41 2x hooks. It has lazy wobbling & rolling action, runs "just" under the surface, but is really a top water. Great for working over the weeds & shallow gravel bars where it excels.